Acute or chronic heel pain can affect the way you walk and interfere with your daily activities and quality of life. Dr. Paul Georges and his staff at Prime Foot and Ankle Care, treat heel pain by first identifying the underlying cause and then working diligently to resolve it through innovative and highly effective treatment. If you’ve been suffering from heel pain, take care of yourself by scheduling a comprehensive examination today. Dr. Georges serves the greater Lowell, Massachusetts area, including Chelmsford, Dracut, Tewksbury, Westford, Billerica, and Tyngsboro. Diagnosis depends on the patient’s signs and symptoms. Some conditions can be easily diagnosed based on medical history, signs and symptoms, and physical examination, while others may require further diagnostic testing. What kind of doctor diagnoses and treats heel pain? Podiatrists specialize in the treatment of heel pain and other conditions affecting the foot and ankle. They receive additional specialized training following the completion of medical school, treat complex conditions of the foot every day, and receive extensive continuing education regarding foot and ankle health each year to maintain their expertise in the field. 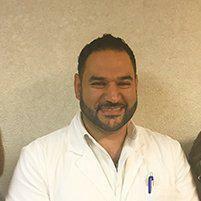 Dr. Georges at Prime Foot and Ankle Care is a podiatrist, which means that he has dedicated his career to preventing, diagnosing, and treating conditions of the foot and ankle. How Dr. Georges treats heel pain will depend on the underlying condition that has caused your pain. In some cases, exercises, stretches, rest, custom orthotics, and non-invasive home treatments can dramatically reduce symptoms and promote healing. In other cases, anti-inflammatory medication, cortisone injections, or even surgery may be required in order to address the underlying diagnosis. Dr. Georges works closely with his patients to determine the least invasive, most effective treatment for their condition.